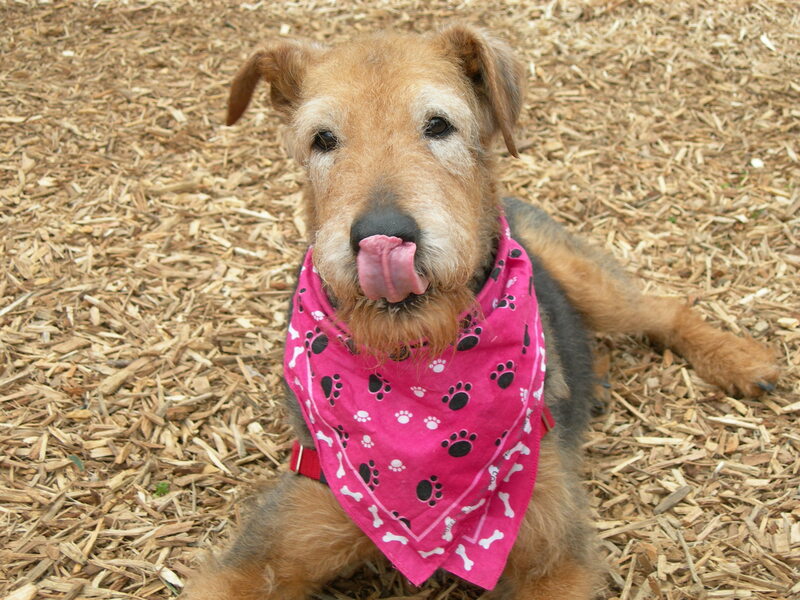 I decided to volunteer with Airedale Rescue Group (ARG) after having my rescued Airedale, Rosie for one year. Rosie had been surrendered twice in her life and I was her final forever home. I wanted to give back to an organization that helped me find my wonderful friend. Volunteering with ARG allows me to help Airedales find new loving families. My volunteer role is intake, the first voice that surrendering families and busy shelters hear. Dogs come from families in stress from divorce to unexpected moves; to shelters with new puppies to very sick adult dogs. My reward is the first message I get from a new forever home upon receiving their dog. It can be a long journey. I need some Dale advice. I went to the Humane Society and picked up the Dale whose owner died Friday night near Gainesville, GA. He checked out okay at the vet (no worms, heartworm neg) and is getting groomed today (I don’t think he’s ever had a hair cut). He was born Feb 28, 2016, so he is 1 year 3 months old and needs to be fixed. He also has a great disposition, getting along with my 3 doggies well! All that is do-able; however, one of his ears sticks straight up. Do you think at his age, glueing his ears would have any benefit? I’ve only done this to a few puppies in my lifetime, so I am very unsure if it will work given his age. I can be reached at 407-790-5599.